Details of centres, organisations and people providing specialised training to the countryside, conservation and ecology sectors. Acorn Ecology runs field & classroom based courses that are led by practicing ecologists. Our introductory level courses aim to provide essential field skills for gaining an ecological job; our advanced courses are suitable for people already working in ecological consultancy. Well established Distance Learning college offering over 700 courses in agriculture, horticulture, crops, writing, permaculture, self sufficiency, aquaponics, aquaculture, tourism and more. We offer a full range of medical courses suitable for home, work and remote travel. Event medical coverage, risk training and equipment hire also available. We are an Ofqual approved centre based in Surrey, able to hold courses in our own venue or travel to you. We offer a range of nature conservation training in the UK and abroad, from inspiring taster days to longer term residential immersions - providing you with practical skills, knowledge and real experience. AB&C is a distance learning organisation run by academics and professional educators with ecology, conservation and animal welfare backgrounds. All courses are prepared and assessed to UK national education standards and match the requirements of Ofqual, the UK education governing body. Accreditation is by the CPD Standards Office. We are a Social Enterprise which provides: Safety Management and Audits, Safety Training, Event Safety, Risk Assessments, advice and guidance, and ISO compliance guidance. The Bat Conservation Trust runs a range of courses in bat biology, ecology, field skills and data interpretation for professionals, bat enthusiasts and interested volunteers. We also provide in-house training upon request. To find the right course for you, please visit our website or email us with any questions. Running since 2008 with over 220 successful participants. Leading course for bat licence training, complimentary courses and ongoing support from two of the most experienced trainers in the UK bat community: Dr Sandie Sowler / Richard Crompton. BLTC covers all of the outputs required by BCT/CIEEM competencies for species surveying. A rural retreat in Kent providing bespoke opportunities for people to learn, grow and reconnect with themselves and the environment. BMC is a leading provider or Further Education in the East Midlands, offering a wide selection of full-time programmes and short courses. BMC’s specialist land-based campus at Brooksby, with its industry-expert tutors and state-of-the-art facilities, is perfect for those who wish to gain the necessary skills for a career in the environmental industries. Learn traditional skills and techniques in an amazing location. Butser Ancient Farm specialised in experimental archaeology and teaching visitors about life in the past. Specialist courses in historic metalwork, flint knapping, herbal lore, textiles, woodcraft and more! National Navigation Award scheme, Hill & Moorland Leader, Lowland Leader, and Expedition Module courses available on various dates throughout year or arranged to order at a suitable location near you. Delivered in a quality, safe, fun and sensitive fashion. Capel Manor College is London’s leading land-based college, offering a wide range of internationally-recognised courses in arboriculture, agriculture, countryside management, environmental conservation and outdoor adventure. All courses are taught by exceptional tutors with vast amounts of industry experience. The Centre for Ecology & Hydrology is a world-class research organisation focusing on land and freshwater ecosystems and their interaction with the atmosphere. We offer national and international capacity building and training on a broad range of topics. Some of our activities are free to attend. CIEEM offers a national programme of training courses, conferences and webinars as well as regional events organised by our Member Networks. Formed in 1966 the CMA is the largest organisation supporting the work of conservation, access and recreation professionals in the natural greenspace and countryside sector throughout England, Wales and Northern Ireland. As part of this our members organise short courses and study days, open to both members and non-members, to share expertise across the sector. Derbyshire Eco Centre offer a wide variety of courses in countryside management, horticulture, heritage and country crafts, sustainable building and more, including one day, evening and weekend workshops. We also have longer courses leading to qualifications that can help you get on in or into work. Down 2 Earth offers short horticultural workshops and courses, including garden design, pruning and propagation. Based in North Yorkshire, courses are run from a well-equipped log cabin in a one acre garden, giving lots of opportunities to see the theory put into practice. A garden design service is also available. Dunsmore Living Landscape is led by Warwickshire Wildlife Trust and is working to connect an ancient wooded heartland, linked by a network of hedgerows and meadows. Get up close to nature, immerse yourself in the past and find your own connection to the landscape with our training courses and events. exeGesIS Spatial Data Management is a well-respected environmental, ecological & heritage GIS consultancy. We deliver a variety of training courses for environmental professionals, covering the three main GIS systems, MapInfo, QGIS & ArcGIS. We have an excellent reputation for the delivery of well-structured & informative courses which use environmental data & are run by approachable & knowledgeable trainers. Discounts are available for charitable organisations. An environmental education charity with over 75 years' experience. Provides field-based taxonomy, professional development and natural history courses at its network of UK Centres. Stunning locations and expert tuition. Over 300 day and residential courses available. Gloucestershire Wildlife Trust’s courses are popular with enthusiasts and professionals alike. We work only with experienced tutors who inspire you to explore our native wildlife in more depth. Courses cover • Species ID • Habitat Management • Survey Skills • Protected Species Ecology. All proceeds from the courses help fund local wildlife conservation. A business that is dedicated to heritage crafts and arts courses. Utilising a combination of traditional and modern methods. You can expect to use manual and modern day tools to create a finished item. A series of Lantra Awards certificated short courses (1-3 days), run by qualified instructors with significant experience in the woodfuel sector, aimed at woodfuel specifiers, suppliers, processors, growers or woodland owners. You don't need expensive equipment to make exciting wildlife films. Learn the skills of video camera work, editing and story creation first. Share a camera with a friend if you like. For the absolute beginner to the semi pro. Courses in association with Cornwall Wildlife Trust. 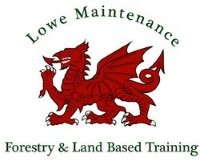 Lowe Maintenance offer high quality courses at affordable prices within Forestry and Landbased sectors, covering: Arboriculture and Forestry Chainsaw related qualifications; Pesticide/Spraying; ATV’s; Brushcutter; Hedge Cutter; Leaf blower; Chipper; ROLO; Rat poison; Aluminium Phosphides; refresher units leading to nationally recognised qualifications (e.g. City and Guilds). Nottinghamshire Wildlife Trust is the county's leading conservation charity run by local people for the benefit of local wildlife, with 67 nature reserves - part of a UK network of 47 local Wildlife Trusts working to protect wildlife. We are a Further Education college based in St. Albans, offering a wide range of courses within Greenkeeping, Agriculture and Horticulture and have been involved in horticultural training for 60 years. We are also Greenkeeper Training Committee-approved. We provide short botanical and ecological training courses for individuals, hobby botanists, education centres, conservation volunteers, professionals and graduates throughout the UK (online and taught). Our Lantra Awards accredited ignite courses, delivered by qualified instructors with significant experience in the woodfuel sector, have been setting the standard in woodfuel supply chain training since 2004. Course material is constantly updated and revised to take account of the latest technical and legislative developments. Providing ecological services, including: bat & other protected species surveys; Phase I & NVC habitat surveys; ecological impact assessments; European protected species licence applications. We also provide training. Please contact us if you require a bespoke course or if you are an ecologist looking to increase your knowledge & experience. The Royal Agricultural University has been at the forefront of agricultural education and a key contributor to the land-based sector for more than 170 years. The University has approximately 1,200 students studying agriculture, animal science, business, environment, equine, farm management, food, real estate and rural land management. The Royal Society of Biology's training programme is expanding; we offer courses to suit all interests and competencies, from enthusiastic students to high level professionals. Our aim is to promote interest in biology and enable individuals to continue their professional development (CPD). Rural Development Initiatives: training providers to the land based sector and specialists in woodland management and woodfuel supply chain training running the award winning ignite courses. Funding may be available to reduce the cost of training for eligible farming/forestry businesses across England and Wales. Green woodwork training courses are offered for the making of traditional woodland craft products such as mallets, spatulas, kuksas, shave-horses, stools, and chairs. These courses take place in woodland workshop shelters using traditional tools such as draw-knives, and pole lathes. Professional training for the novice chainsaw user in maintenance, small and medium tree felling, emergency treework leading City & Guilds certification. Courses take place in both workshop and woodland settings. Also, professional training for the novice tree climber and more advanced techniques including Rigging/Dismantling and Pruning techniques. Crofters and Small Landholders Skills for the 21st Century is a structured programme of hands-on training days, organised by the Scottish Crofting Federation, to help crofters and small landholders develop and extend their practical skills. New entrants, also existing crofters/smallholders who would like to diversify and develop new skills. We run a wide range of field-based courses across the south of England, covering botanical ID (bryophytes, grasses and wildflowers), survey skills, protected species ecology and wildlife crime. We also provide extensive training resources through our website. All proceeds from the courses go straight to our endangered species programme. Sussex Wildlife Trust organises a packed programme of wildlife related courses each year. Courses are led by local and national experts in the classroom at our Woods Mill nature reserve in the centre of Sussex or at venues across the county. Please book online. Our supportive training courses cover basic ecology, identification features, relevant legislation, and survey techniques. They are run by expert ecologists and aimed at beginners to improve identification skills and knowledge of a range of priority habitats and species. Student discounts. The Adventure Academy CIC deliver outdoor learning, navigation courses, the National Navigation Award Scheme (NNAS), outdoor first aid courses, forestry first aid courses, first aid at work courses and forest school first aid courses. The College was established in 1989 and now has four centres around the UK. Our one year, online learning, City & Guilds Level 2 Diploma in Countryside and Environment course is ideal for those looking to learn more about the environment around them. We offer courses in wildflower ID, grasses ID and plant ID for phase 1 habitat surveys. Throughout the year we run a whole range of courses for seasoned ecologists and budding beginners. We can also develop bespoke ecology and botanical courses to be delivered at any location throughout the North East. Get in touch to discuss your ecological training requirements. Wildscapes is an ecology consultancy operating as part of Sheffield and Rotherham Wildlife Trust. We offer short courses in various survey techniques, plant identification, bats, butterflies and moths, and other ecology topics throughout the year. All our profits are put back into the Wildlife Trust. Wildwood is a British wildlife park near Canterbury in Kent. Home to over 200 native animals, past and present and set in 40 acres of beautiful ancient woodland. We run a wide range of short courses for professionals and enthusiasts including dormouse handling and phase 1 habitat survey. We offer one of the most comprehensive ranges of bushcraft and survival courses available, covering everything from the basics to advanced skills and instructor training. With a relaxed and friendly approach, we teach all aspects of bushcraft including shelter building, water purification, fire lighting, first aid, navigation, tracking, foraging and much more.